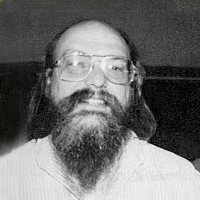 American pioneer of computer science. Designed and implemented UNIX at Bell Labs. Invented B, the direct predecessor to C. Creator and early developer of Plan 9. Co-inventor of Go, at Google. The X server has to be the biggest program I’ve ever seen that doesn’t do anything for you.